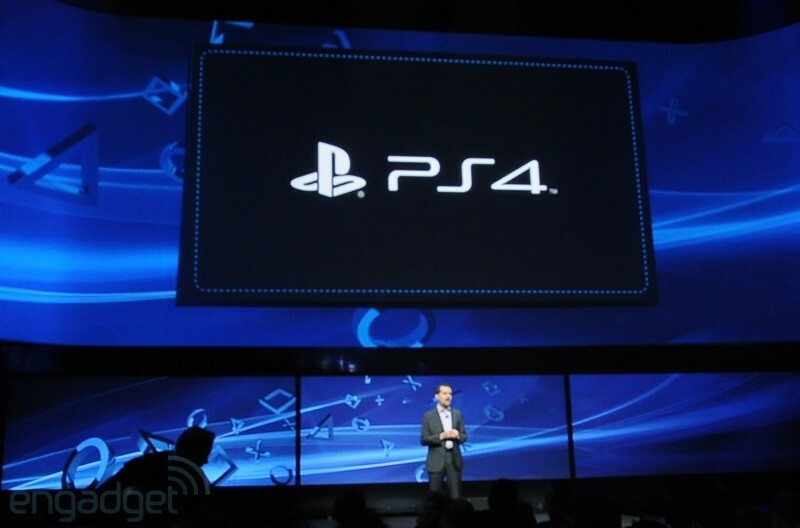 The Refined Geek » Surprising No One, Sony Announces The PlayStation 4. Surprising No One, Sony Announces The PlayStation 4. You don’t have to look far on this blog to know that I’m a Sony fan although my recent choice in products would tell you otherwise. I do genuinely appreciate them as a company as whilst they’ve made a whole bunch of mistakes they’ve also delivered some amazing products on the years, typically in industries where they’re far from being industry leaders. My relationship began with them many years ago when I first laid my hands on the original PlayStation console and has continued on since then. Today they announced the next generation of their home entertainment systems: the PlayStation 4. Whilst the event is still unfolding while I’m writing this there’s already been a lot of rumours confirmed, surprises unveiled and of course a whole bunch of marketing blather that no one is interesting in hearing. Among the confirmed rumours are the fact that it’s an x86 platform under the hood, the controller has a touchpad on it (among several other features including a Kinectesque motion tracking system) and a customized PC GPU. Of course the really interesting things are the features that have managed to remain secret throughout the various leaks and speculative sprees that have been occurring over the past couple months. For starters it appears that the PS4 will come equipped with a whopping 8GB of GDDR5 rather than the 4GB that was previously advertised. This is interesting because the Durango apparently faced issues trying to integrate that amount of memory due to the bandwidth requirements and thus opted to go with DDR3 and a speedy 32MB cache to counter-act that. Sony has either made a last minute change to the design to get specification parity (although 4GB GDDR5 is arugably much better than 8GB of DDR3) or had this planned for quite a long time, meaning that they overcame the engineering challenge that Durango couldn’t (or wouldn’t, for various reasons). One of the much speculated features was the integration of streaming services allowing users to share screenshots, game clips and all manner of things. Part of the leaked specifications for both Durango and Orbis hinted at an external processing unit that would enable this without the main GPU or CPU taking a hit. This has come to fruition and it appears that Ustream will the the platform of choice. Whilst I know a lot of people aren’t particularly thrilled with this (it seems a lot of us gamers didn’t get out of the anti-social gaming box we cocooned ourselves in during our formative years) for someone like me who reviews games it’s an absolute godsend as it means that my convoluted recording rig won’t be required just so I can get a few in game screen shots. Realistically this is just an organic progression of features that have been present in some games to making them available natively in the platform, something I’m sure the developers are thankful for. There’s also a swath of remote play stuff which looks like a natural progression of the stuff that’s already in the PS3/PSP combo. Some of the pictures shown during the stream indicate that it might extend further than just the Vita and that’d definitely be something as not everyone (not even me, shocking I know) wants to invest in a Vita in order to get that kind of functionality. With their acquisition of Gaikai, which was ostensibly for the streaming backwards compatibility that’ll come for PS1/2/3 games, they do have the opportunity to take that same streaming and let you play your games anywhere with your PS4 providing the underlying grunt. There’s no mention of that specifically but all the key parts are there and that’d certainly give them a leg up on Microsoft when it comes to delivering a ubiquitous platform. Fanboyism aside the PS4 does genuinely look like a great piece of hardware and the services that are being built on top of it are going to be really competitive. Sony has been lagging behind Microsoft for a long time in the services space and it looks like for the first time they’ll at least be at parity with them. We’ll have to wait for the Durango announcement first before we can make true comparisons between the two but if the leaks are anything to go by it’s going to be a good time for us gamers, whatever our chosen platform is. Now if only they gave us a release date. That one delicious piece of information is curiously absent.